Washington 19-year-old rookie Juan Soto has become the youngest player to steal three bases in a game when he accomplished the feat against Atlanta. 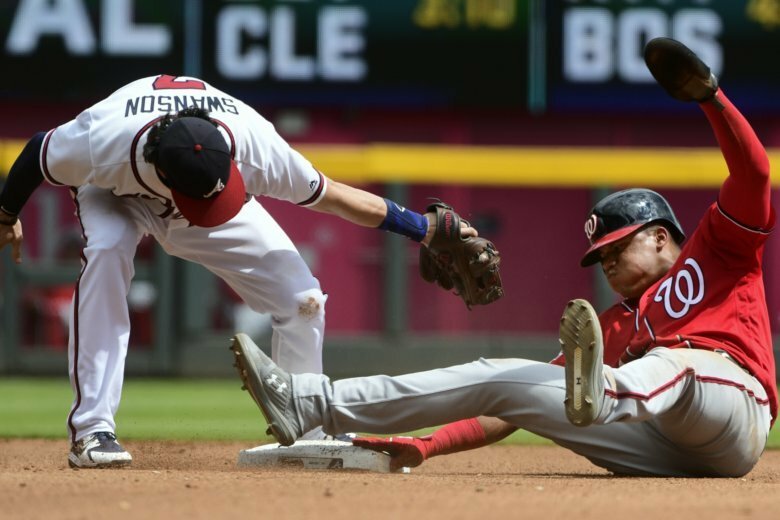 ATLANTA (AP) — Washington 19-year-old rookie Juan Soto has become the youngest player to steal three bases in a game when he accomplished the feat against Atlanta. Soto surpassed the mark set by Oakland’s Rickey Henderson at 20 years, 241 days on Aug. 23, 1979, against Cleveland, according to the Elias Sports Bureau. Soto hit an RBI single in the first inning Saturday and stole second, then walked in the fourth, stole two bases and came home on a bases-loaded walk.